What’s one of the first things you see when you step foot inside of a pizza restaurant? Aside from those incredible smells tickling your nose as you walk up to the building and smacking you in the face right when you open the door, your eyes are directed towards the large, extravagant pizza oven situated as the kitchen’s centerpiece. But what happens when your space doesn't allow you the opportunity to create such an appearance? This is one situation you may run into. The solution? Ventless high-speed technology. The vast capabilities of high-speed cooking equipment, like the innovative Alto-Shaam Vector™ Multi-Cook Oven, pack a huge punch for your kitchen! We’re seeing our industry trending towards ventless kitchens. Freeing up your kitchen and having the flexibility to expand your menu and increase profits is a no-brainer. No hood requirement means you’ll have the freedom to put this equipment anywhere your heart desires. And with such a small footprint for the Alto-Shaam Vector™ you’re looking at a full-blown operation in virtually any space of your kitchen. If you think substituting traditional cooking equipment with quick fire pieces will sacrifice the quality of food you’re offering your guests, then think again. Anything from high-end Ribeye Panini sandwiches to Ancho-Chile Braised Short Rib flatbread and flavorful Scottish Salmon creation - these are incredible machines. 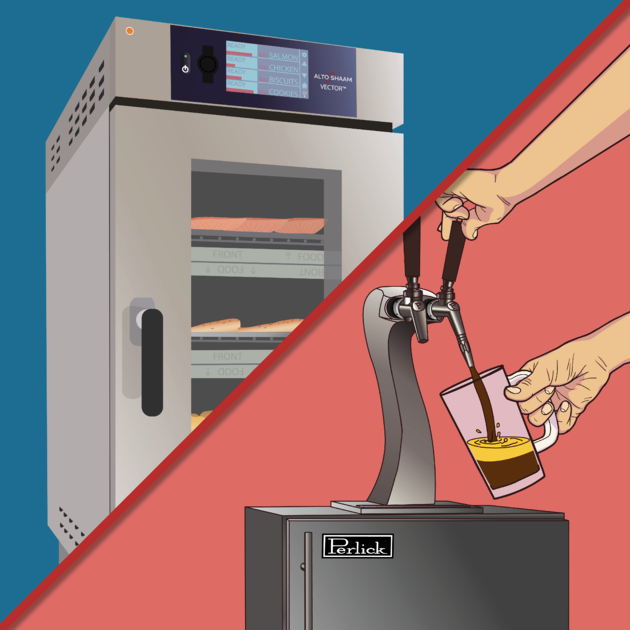 Along with the ability to expand your menu and offer high-quality food at low costs comes major profitability to your kitchen. We work in a high-speed, fast-paced industry. You know it. We know it. It's an absolute necessity to keep up. Efficiency is at the forefront of it all. We want to get our food to the guest in the shortest time possible. We want to increase table turnover rates. And we want to do it as tactically and skillfully as possible without sacrificing the quality. 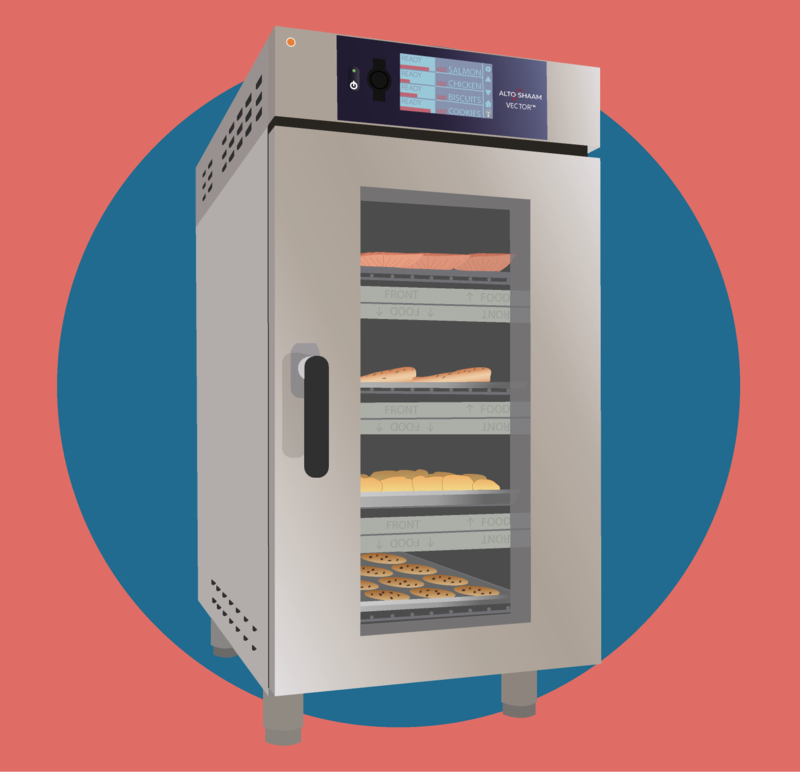 Traditional convection ovens don't hold a candle to the speed of these products. When it comes to new technology one thing that comes to mind is the complexity that it entails. That's not the case here. In the age of smartphones and tablets, touchscreens are a standard for interactive technology, and each of these products comes equipped with a fully customizable and programmable digital interface making it extremely easy to us for anyone in the kitchen. √ Program hundreds of recipes with multiple stages for one-touch cooking. √ Assign personalized pictures to every recipe for easy discoverability. √ Labor-saving and increased efficiencies have never been more simple. Want a more in-depth look at the Alto-Shaam Vector™? As much as your kitchen game needs to be on point, your beverages must be competing on the same playing field. 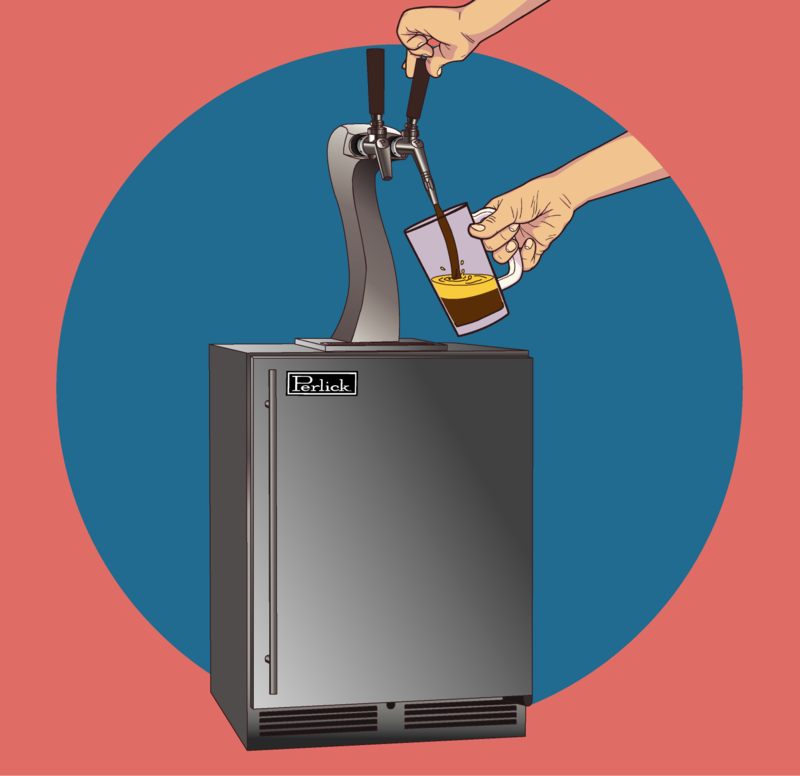 Keeping your bar on the cutting edge of not only what you’re pouring, but how you’re doing it is what takes your operation to the next level. Like we mentioned, the dynamic duo that is pizza and beer have reached peanut butter and jelly status. It’s hard to think about what life was like before the two eloped. Sustaining a well-rounded offering from the tap is a must, but catering to eye appeal and creatively crafting the distribution of the sweet nectar to look just as incredible as the food your serving and the vibes your establishment is giving off helps those profits soar. This is where Perlick Corp. comes in. A leader in the industry for over 100 years, the Milwaukee-based company specializes in all things bar-driven. From custom brew pipe towers that will be sure put your guests in a state of awe to the classic “T” tower, Perlick knows how to make your beer service look top-notch. √ No oxidized wine or trash wine to throw away. √ Eco-friendly: the steel kegs are 100% reusable. √ Guaranteed freshest glass glass of wine from the first pour to the last. √ Increasing the speed of service by eliminating stocking and opening bottles. The #1 cardinal rule of the foodservice and hospitality industry: the customer always comes first. Staying up on trends is the best way to keep your guests happy, entertained and coming back for more! See the latest pizza trends below. 2018 is going to be another big year for pizza! Click here to see what you can expect out of your pizza this year!